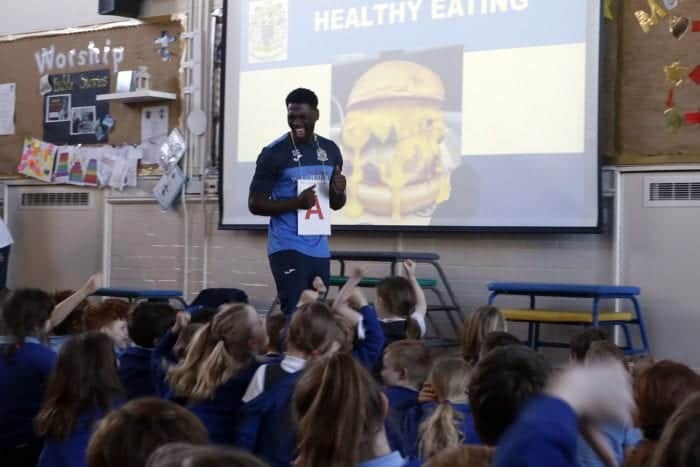 County’s unique healthy living programme which focusses on children aged between 7 and 11 is on target to reach over 15 000 youngsters this season. 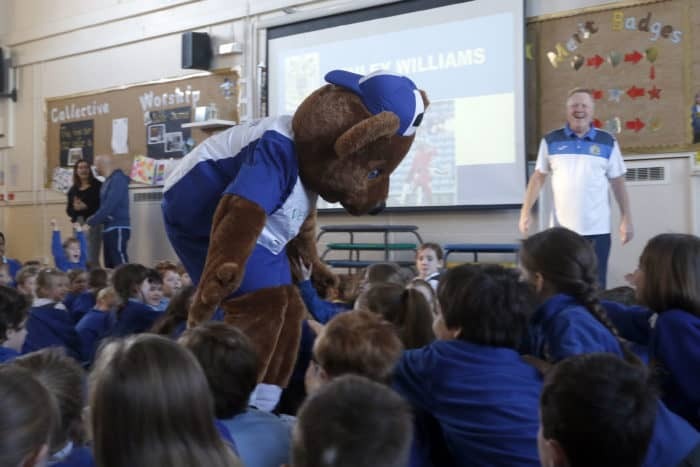 The programme which delivers key healthy living messages to whole schools during a 30 to 45 minute assembly is unique to County and plays a key role in supporting positive messaging in schools. The importance of a healthy diet, regular exercise and being a positive community member are just some of the key messages delivered along with key advice about road safety and the dangers posed by cigarettes and alcohol. The programme is delivered by a professional team including a former teacher, professional entertainer and a member of the first team squad. 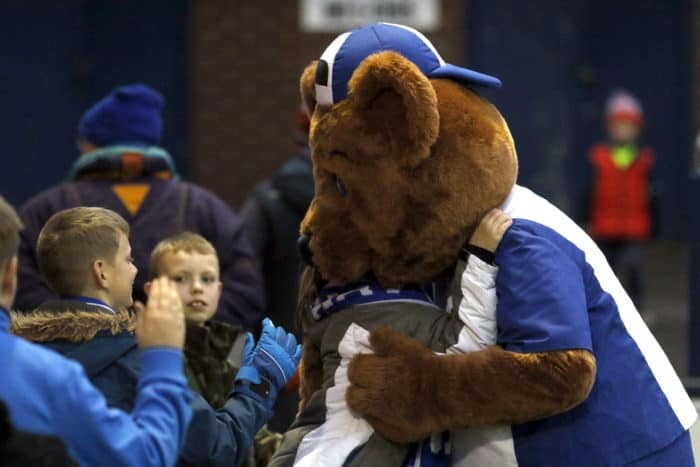 At the end of the presentation all of the children are invited to attend the next home match free of charge along with any brothers and sisters and one of their parents thanks to the support of the Vernon Building Society. The programme was initially pioneered by current County Director Steve Bellis in 1991 and played a huge role helping to educate hundreds of thousands of youngsters and building the club’s impressive supporter base throughout the nineties and into the millennium. Last season just over 13,000 youngsters benefitted from the presentation with over 50 schools participating. The club is on track to surpass those numbers this season with 15,000 children the season’s target. The project is free of charge to the schools and is extremely popular. Reviews from the schools are always positive. ‘The children absolutely loved it. It was engaging for all the different ages, informative and inspiring too! County Director Steve Bellis confirmed: “it is fantastic to see that our unique programme is still as popular today as it was in the nineties. 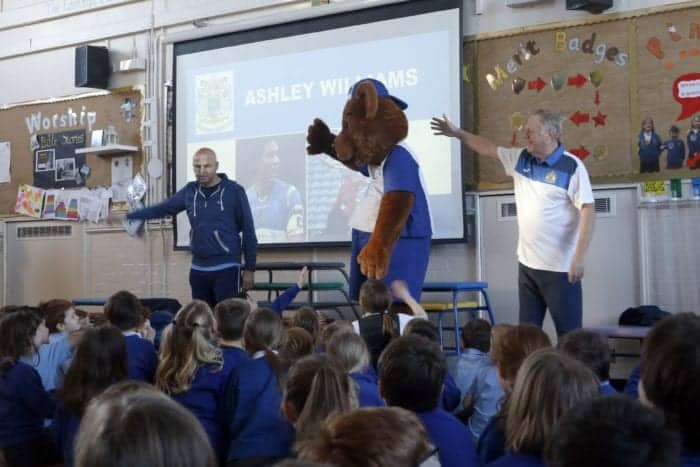 Our presentation team including Stuart Guest, Andy Powell and of course Vernon Bear, are doing a terrific job educating the children in the region and generating long term support for the club. They are ably backed by Simon and Zahra in the commercial office supported by our wonderful Community Foundation. Schools interested in benefitting from the presentations should contact Zahra at [email protected] or call the commercial office on 0161 266 2700.